Before joining RE/MAX of Nanaimo, Brian was named “Realtor of the Year” for Coast Realty MORE times than any other agent for all 14 Coast Realty offices on Vancouver Island. Within 4 months at RE/MAX of Nanaimo, Brian was recognized by RE/MAX Western Canada for being ranked as one of the TOP 100 RE/MAX agents in ALL of Western Canada based on completed sales transactions. After 40+ years, Brian’s passion and dedication remain as strong as ever to real estate. As a child in Thunder Bay, Ontario, Brian McCullough remembers the cherished moments he spent with his father. He had a great deal of respect for his father, working two jobs to keep food on the table and a roof over the family’s head. He taught Brian a lifetime of lessons in honor and integrity, and proved how hard work can produce significant results. Today, this concept is threaded throughout Brian’s life. Brian has adopted his philosophy into his entire life and there’s no doubt that’s why his son, Myles has enjoyed working in the business together alongside him. He knows better than anyone how the things he teaches Myles today will carry on for generations, and that’s why he’s constantly instilling the same values he inherited from his father into Myles. Stepping back, Brian views the “big picture”. 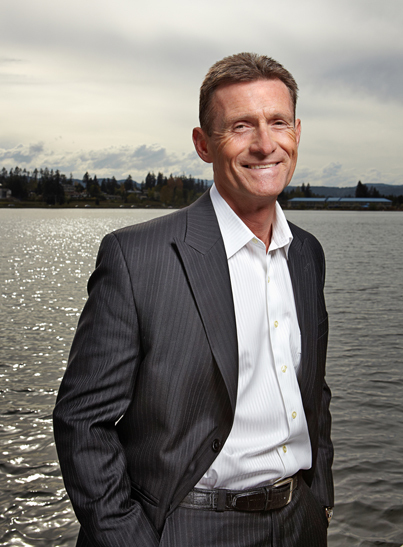 Brian applies that same life philosophy to his career as one of Nanaimo’s premier real estate professionals. His approach to business mirrors his personal philosophy if you give it your all, good things will naturally come in return. And when Brian & Myles are your Realtors, you can rest assured they are aggressively pursuing your Real Estate goals. That’s why working with Brian and Myles is like working with close friends. When you talk to them, there is a certain air of comfort and honesty in their conversation, and soon there’s a trusting relationship established like that of a close friend. Having been in the real estate field since 1979, Brian’s experience and know-how lend him the confidence required when negotiating your transaction. More than anything, however, Brian and Myles care about their clients. 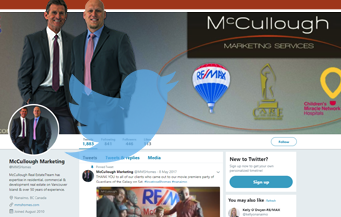 Knowing they are going to give 100% effort to every client, it’s only natural Brian and Myles stand behind their service with 100% Satisfaction Guarantee. It is because of this, that over 70% of their business each year comes by referral from past clients asking Brian and Myles to look after a friend, co-worker or family member.